Debra is an attorney specializing in foreign trade, corporate, and tax law. She began her legal career as a judicial clerk for the Honorable Joel Flaum on the United States Court of Appeals for the Seventh Circuit. After the clerkship, she joined the international law firm of Baker and McKenzie in Chicago where she worked on international mergers and acquisitions and federal tax cases for ten years. She also served as a member of the firm’s hiring committee and as a part-time instructor in international law at North Central College. She was honored with North Central College’s Alumni Recognition Award and the Illinois State Bar Association’s Lincoln Award for legal writing. In addition to her professional activities, Debra has been an active volunteer at her alma mater, North Central College, and with various medical research and educational institutions. She served as president of the North Central College Alumni Association Board of Directors. As chairman of the Chicago Institute of Neurosurgery and Neuroresearch Associates for several years, Debra headed the Associates’ annual fundraiser for neurological research. In connection with her position with the Associates, she also served on the Board of Directors of the Columbus-Cabrini Medical Foundation. On the educational front, Debra has twice served as the president of the St. Petronille School Board. Most recently, she served as chairman of the St. Petronille ad hoc committee to establish full-day kindergarten at the school. At St. Francis High School, Debra assists with activities sponsored by the Mothers’ Club’s Faculty/Staff Appreciation Committee and acts as a parish representative for the annual auction. 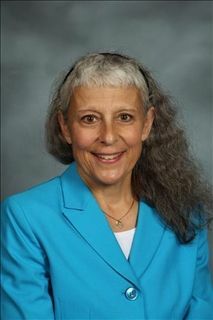 Debra was appointed to the St. Francis High School Board of Directors' Education Committee in 2016. Debra attended Northwestern University School of Law on a full-tuition Wigmore merit scholarship and received her Juris Doctor degree in 1984. She served as an editor on the Northwestern University Law Review and on the law school’s National Moot Court team. She received her undergraduate degree from North Central College in 1981 with a B.A. in political science and French. As a Rotary Foundation undergraduate scholarship recipient, she completed one year of French law school at the Université des Sciences Juridiques, Politiques, Sociales, et de Technologie de Strasbourg in Strasbourg, France, in 1980. Debra and her husband Paul have twin sons who are graduates of St. Francis High School, Michael (2009) and Matthew (2009), and a daughter, Annemarie, who is currently attending St. Francis High School. Debra and Paul reside in Wheaton and are members of St. Petronille Parish.